David B. 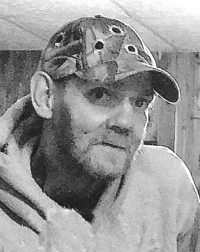 “Dave” Dolph – 59 – of 82 East Ave., Hornell, died unexpectedly Thursday afternoon (November 15, 2018) at his home. Born in Hornell on April 20, 1959, he was the son of Keith & Marilyn (Coleman) Dolph. A lifelong Hornell resident, Dave had been a member of the Hornell VFW and also member of the War Dads. He was an avid Buffalo Bills fan and enjoyed spending time with his many friends at the Southside Tavern. David was preceded in death by his parents and also an infant brother, Ivan Dolph. Surviving are three children, David Dolph, JR of Corning, Christine Dolph of Hornell and Anita Dolph of Painted Post, NY; 2 sisters, Elaine (Claire) Slawson of Pennsylvania and Linda Young of Greenwood; 2 brothers, John (Colleen) Dolph of Hornell and Morris (Ruby) Dolph of Lima, NY; 8 grandchildren; several nieces & nephews. At Dave’s request there will be no calling hours. A Celebration of Life will be held on Sunday (November 25, 2018) from 1:00 PM – 4:00 PM at the Hornell VFW, Canisteo St., Hornell, NY where family & friends can gather & share stories of David’s life. My condolences to the family and friends of David as I grew up with him and my brother Ronnie were the very best of friends throughout all their childhood years and even in their adult years they found a way to connect . I know how hard it is to lose someone u love at a young age as I have lost . Let me know if u need anything that I may be able to help u with . AI will always remember and love you uncle Dave. I’ll always remember July fourth and our family get togethers every Christmas eve. Rest easy uncle. God bless and safe journey to the other side.